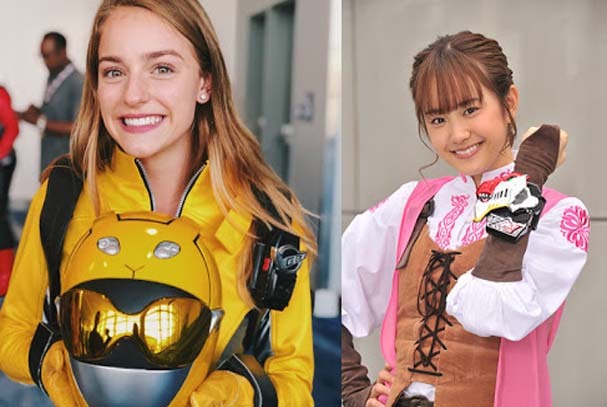 Two Super Sentai seniors Ayumi Kinoshita and Nao Nagasawa guest star in the 13th episode of Shippaiman. The plot involved Ayumi Kinoshita playing as the corrupt revenue officer Keiko Haneda and Nao Nagasawa playing as a sushi entrepreneur known as Lily Utsugi. Keiko herself has been overtaxing the Japanese people with unfair tax rates where they pay 32% for an excess of 1,000,000 yen. On the other hand, she protected all her allies who give her money under the table. Both Shippaiman and Noopaiwoman perform feats of heroism telling the Japanese people that the tax rates are justifiable. Jules disguised herself as a customer to find out what's going on at the local sushi bar. There she discovered that Keiko has been receiving bribe money from Lily. During this episode, Sayaka Akimoto assumes her role as Pia Wakamatsu where she's about to be extorted. 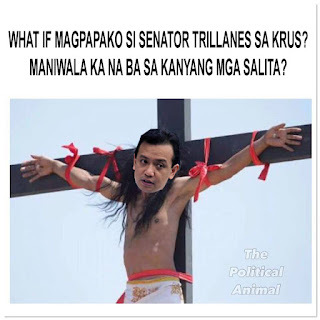 This is a sinister plan of Senator Bum who desired to have Pia to be one of his mistresses. The prime minister's irresponsible sister Kristy Tokugawa (acted by Ami Kawaii) wants to ship her ever-irresponsible brother with Pia. This resulted to a situation when Keiko planned to unjustly tax Pia's wins and her crown. Because of an internal dispute between Bum (who lusts after Pia and desires her for his mistress) and Kristy who wants to pair her up with Nobita, the Winsbraindraft team uncover Keiko's favoritism. Keiko tries to use her gun against Jules. Jules used her impressive gun skills to capture both Keiko and Lily exposing them for their tax frauds. They were also shipped to Indonesia (via a high tech raft) where they were both guilty of smuggling 50 kilograms of Marbobo cigarettes. Seeing Jules' rather unusually badass behavior made Troy think twice about courting her and tried to get to another woman instead. At the end of the feature, Troy figured out he and Pia were actually made for each other. After Bum was rejected, Nobita tried to get to Pia. Pia and Troy give him an uppercut and they ride off into the sunset. The episode caused Kill Henares to get angry. More Filipinos started to awaken seeing how overtaxed they were under Kill's administration.